A snowboarder drops into the side hit at the top of the modified superpipe during practice ahead of this week's Dew Tour event on Wednesday, Dec. 12, at Breckenridge Ski Resort. 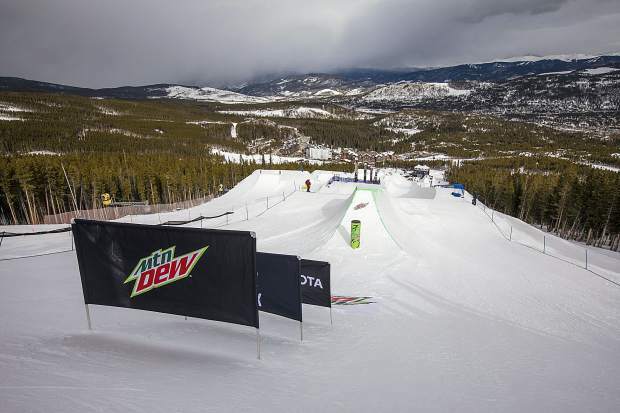 The modified superpipe for this week's Dew Tour event is seen on Wednesday, Dec. 12, at Breckenridge Ski Resort. 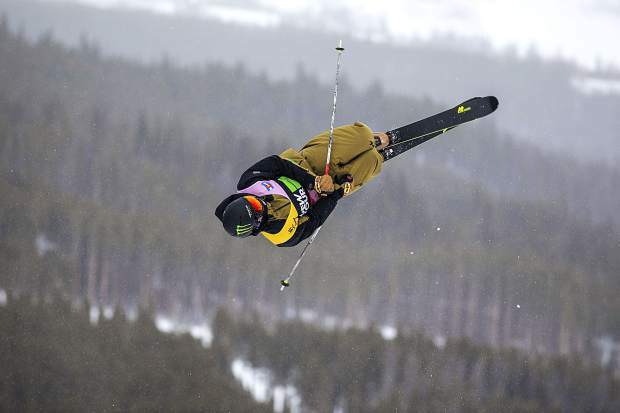 Slopestyle skier, Ferdinand Dahl, of Norway, executes a trick in midair during practice ahead of this week's Dew Tour event on Wednesday, Dec. 12, at Breckenridge Ski Resort. 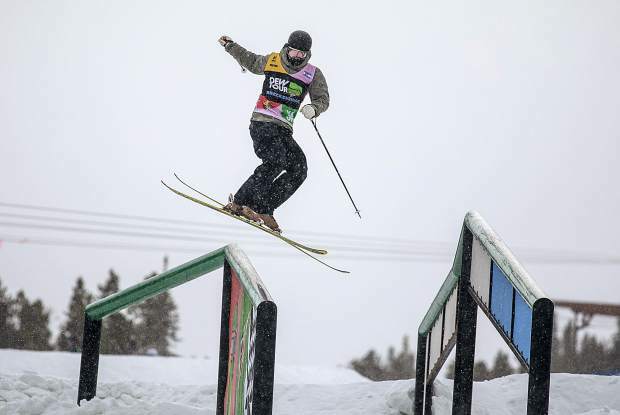 Slopestyle skier Christian Nummedal, of Norway, practices on a rail on the slopestyle course ahead of this week's Dew Tour event on Wednesday, Dec. 12, at Breckenridge Ski Resort. Snowboarder Stale Sandbech of Norway drops into the modified superpipe during practice on Wednesday, Dec. 12, at Breckenridge Ski Resort, ahead of Dew Tour competition, which begins Thursday and runs through Sunday. A snowboarder drops in to the modified superpipe during practice on Wednesday, Dec. 12, ahead of this week's Dew Tour event at Breckenridge Ski Resort. Women’s ski slopestyle	9-11 a.m.
Powder Awards (Riverwalk Center)	8 p.m.
Women’s ski superpipe	9-9:45 a.m.
Women’s snowboard slopestyle	10:15 a.m. to 12:15 p.m.
Streetstyle (Washington Street)	6-7:45 p.m.
Transworld Snowboarding Awards (Riverwalk Center)	8 p.m.
Men’s snowboard superpipe	10:30-11:30 a.m.
Men’s ski slopestyle	noon-3 p.m.
‘Girls Who Ride’ Streetstyle	3-4:30 p.m.
Streetstyle open to public	noon to 7 p.m.
Men’s ski superpipe	9:15-10:15 a.m.
Women’s snowboard superipe	10:45-11:30 a.m.
Men’s snowboard slopestyle	noon to 3 p.m.
Last week, after taking second place at the first World Cup halfpipe event of the season at Copper Mountain Resort, Canadian 2018 Olympic halfpipe gold medalist freeskier Cassie Sharpe provided a glimpse into her thought process about the most talked about element of this week’s Dew Tour at Breckenridge Ski Resort: The new modified superpipe. Sharpe didn’t mince words. 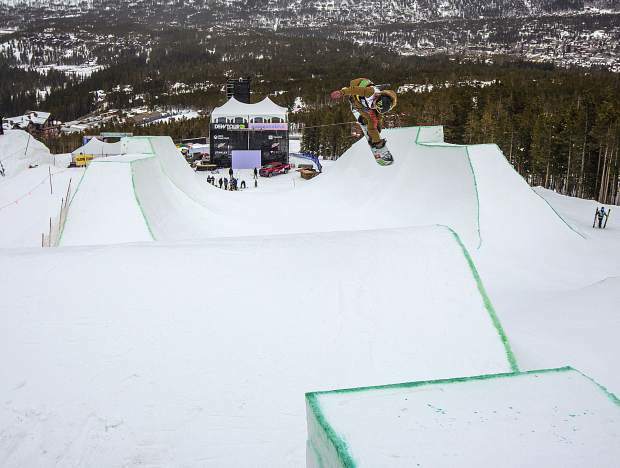 When she initially saw the renderings of the first-of-its-kind modified superpipe that Snow Park Technologies dreamt up and built for Dew Tour, she was discouraged. 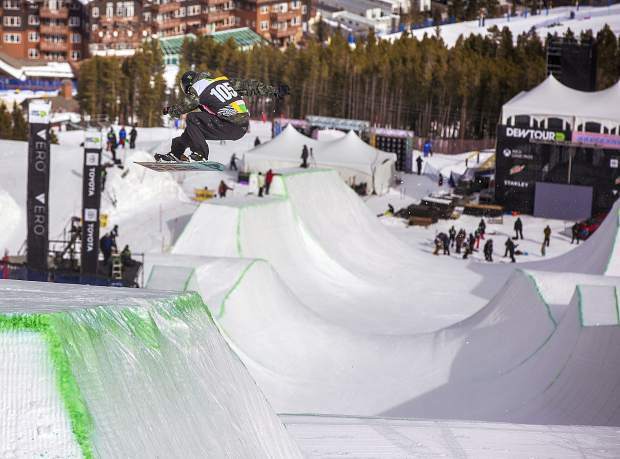 Throughout the first three days of the week leading up to the four-day Dew Tour event, which starts Thursday, Dec. 13, numerous freeskiers and snowboarders have posted to their social media accounts their practice runs through the modified superpipe. It’s a fresh take on the concept of the halfpipe contest, and it will feature a side-hit jump above the pipe leading into a three-hit, shortened superpipe. Then, exiting the pipe, skiers and snowboarders will hit what they are calling a “tombstone” feature to a traditional slopestyle landing. Then, to wrap the course up, competitors have the choice of two hips that they can take or a halfpipe wall into a hip landing. 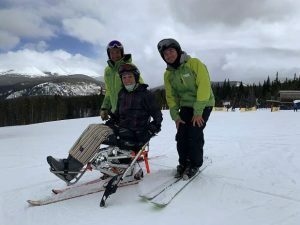 The new superpipe course has garnered so much attention among the athletes that even Olympic gold-medal winning slopestyle rider Red Gerard, of Silverthorne, made a run through the course earlier in the week. On Thursday, from 12:30 to 1 p.m., the first athletes to compete on the modified superpipe will be the following freeskiers representing their respective brands in the team challenge: Torin Yater-Wallace (Armada), Miguel Porteous (Atomic), Antti Ollila (Faction), Aaron Blunck (Head), Birk Irving (K2) and Hunter Hess (Volkl). 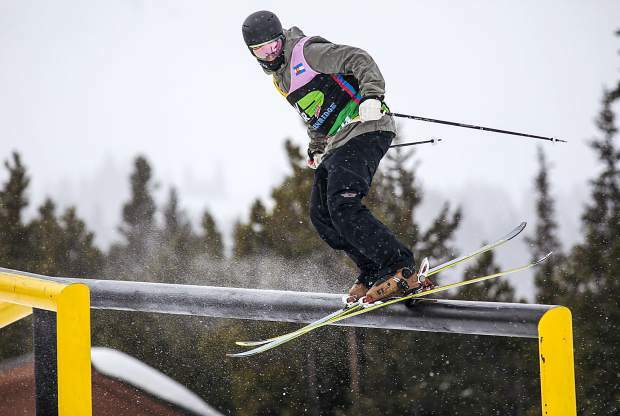 Before he even practiced on the new Dew Tour pipe, Crested Butte’s Blunck said after last week’s Copper World Cup Grand Prix event that, because of the modified pipe, Dew Tour is the one event he’s been looking forward to all season. Pates said to expect much more stylish tricks during both the team and individual superpipe events through the week. 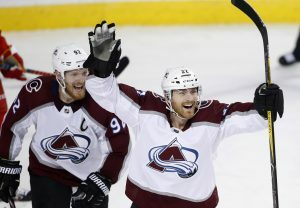 “We have the Olympics, and the Olympics are always going to be a standard superpipe,” Wise said at Copper Mountain on Friday. “And I think that’s great. I think that’s good for the sport. But I’d be happy to see the tour have more creative superpipes, and have more creative pipe features.